Due to the cost of operations and the condition of the economy, CPGM will not be open for recreational prospecting. All other operations including RV sites, tent camping and cabin rentals will operate normally during our season. Call for availability and reservations. Special groups (family reunions, festivals, etc.) and GPAA chapters will be welcome for planned outings. Call for information. The General Store is well stocked and will be open for business, call ahead for hours of operations. Professional consultation will still be available, call for appointment. Mining seminars will be scheduled throughout the season, keep up with our calendar for dates and activities. Got buckets of black sands setting around. 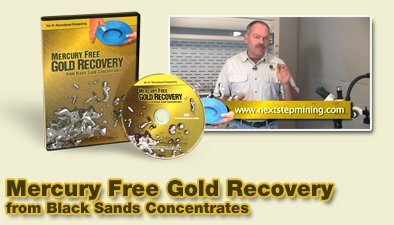 Learn from expert Jeff Pickett on how to get the Gold out safely and efficiently. Jeff walks you through each step, explaining each process and how important it is to avoid the use of Mercury. This amazing 1 hour 27 minutes DVD is perfect for any recreational prospector anywhere. Come camp out, walking beautiful trails, and meeting friendly people. We also now have WI-FI so you can stay in touch 24-7. Need supplies...we provide all the equipment necessary. 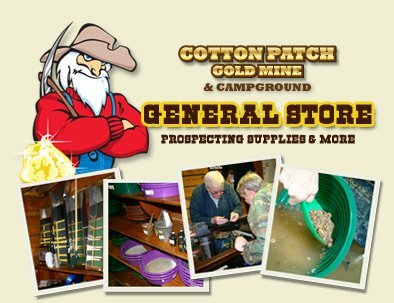 If you are looking to purchase your very own prospecting supplies... check out our General Store, located on the mine. We sell a huge variety of prospecting equipment... from Keene, Fisher, Garrett and Gold Magic. 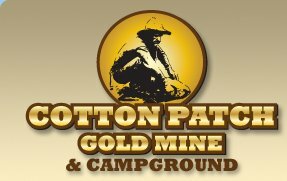 Cotton Patch Gold Mine is now an Official GPAA (Gold Prospectors Association of American) Member. Show membership card for 10% discount on mining supplies. As of 2016 Recreational Prospecting is Closed. Our Campground is still operational year round. The Staff at Cotton Patch want to thank you for your past and continued business. RV's, camping and cabin rentals open 7 days a week but call first. For long term lot rental, give us a call 704-463-5797! GPAA Members get 10 Percent Off on mining supplies. Just show card for instant discount. We have group rates for Scouts, Churches, Clubs and Corporate Events. This site is Copyright 2018, Cotton Patch Gold Mine and Campground. All rights reserved. If you live in Coventry and get locked out of your house, give the best locksmith Coventry has to offer a call and he will help you get back into your home or change your locks. You can also try door opening expert Locksmith Leicester who covers the whole of Leicestershire if that is closer to you. If you are looking at upgrading your locks then we recommend that you get anti snap locks from Ultion fitted for the best security for your home. Ultion are one of the biggest names in the lock security trade and you can get a genuine key cut from an authorised Ultion key cutting centre and delivered to your door the very next day free of charge!